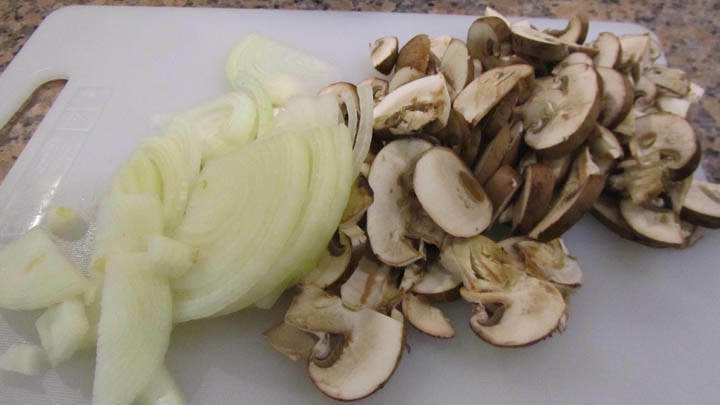 STEP 1) Slice the onions and mushrooms. 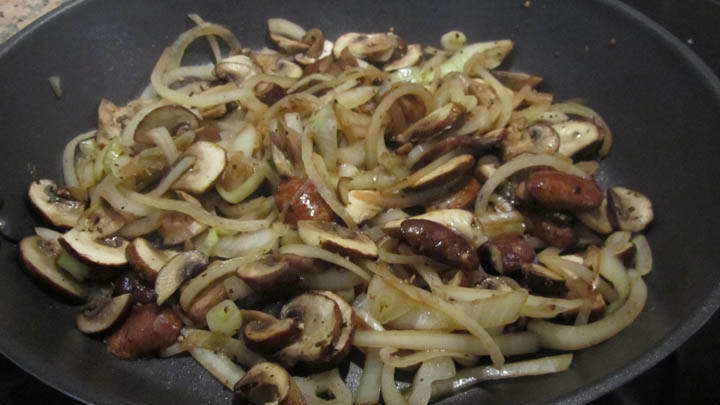 Sautee them in a pan in a tablespoon of olive oil for 5 minutes at medium-high heat, season with a pinch of salt and black pepper. Set aside to cool down for 10 minutes. 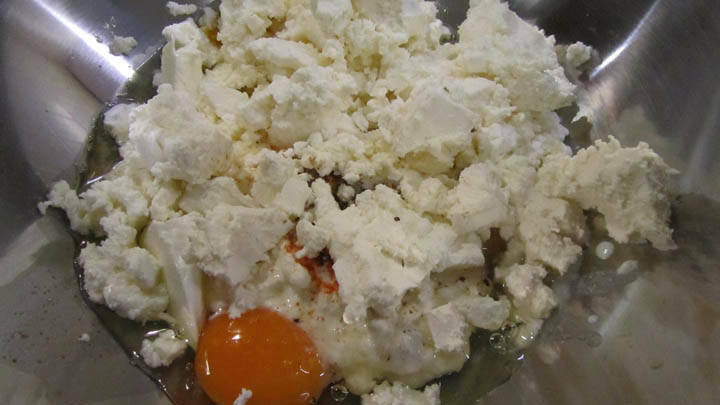 STEP 2) In a large bowl, crumble in the feta cheese and add the eggs, cottage cheese, a pinch of cayenne pepper and nutmeg and half a teaspoon of garlic salt (do not add anymore salt as the feta cheese is very salty). Mix well. 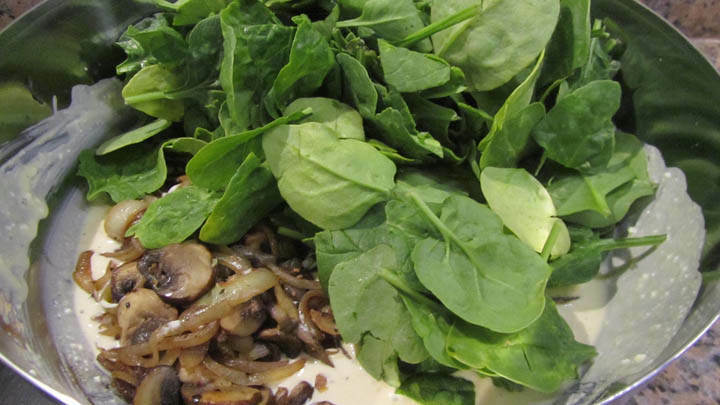 STEP 3) Add to the bowl the spinach and the sautéed mushrooms and onions. 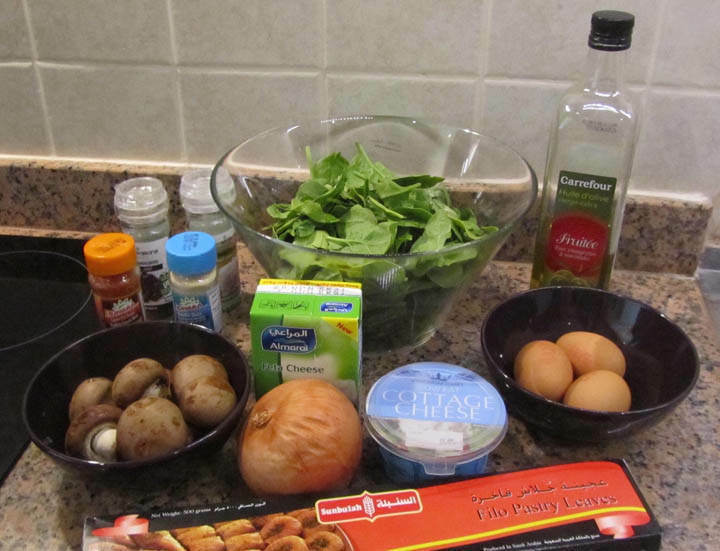 Fold in all the ingredients until they are all well incorporated. STEP 4) Heat the oven to 180 C (electric) or 160 C (fan). 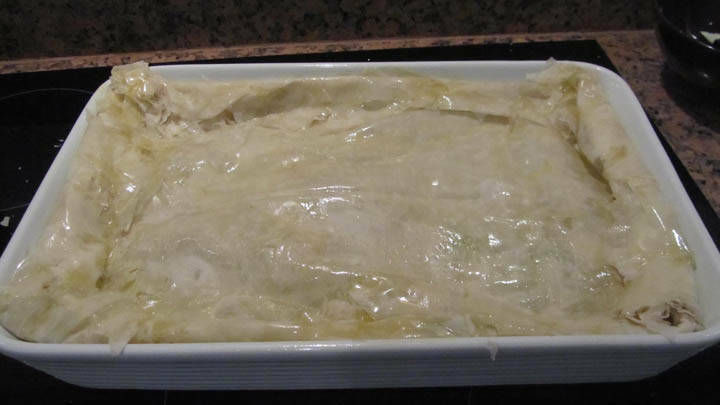 To build the base of the pie, brush the base of a rectangular oven dish with olive oil, using a pastry brush. 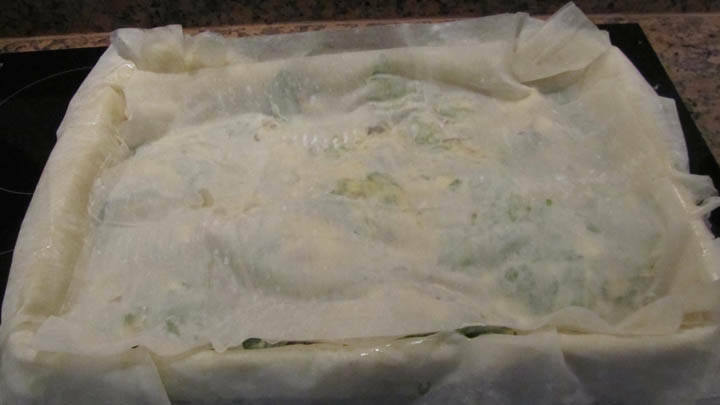 Cover the bottom of the dish with a sheet of filo pastry (once the filo pastry is removed from the packaging, ensure it is kept covered with a damp tea to towel to stop it from drying out) and brush the sheet with olive oil. 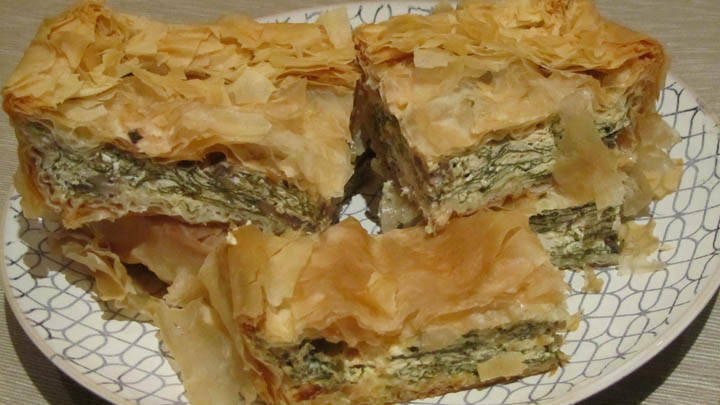 Continue adding 8-10 sheets of filo pastry, ensuring to brush the top of each layer with olive oil. 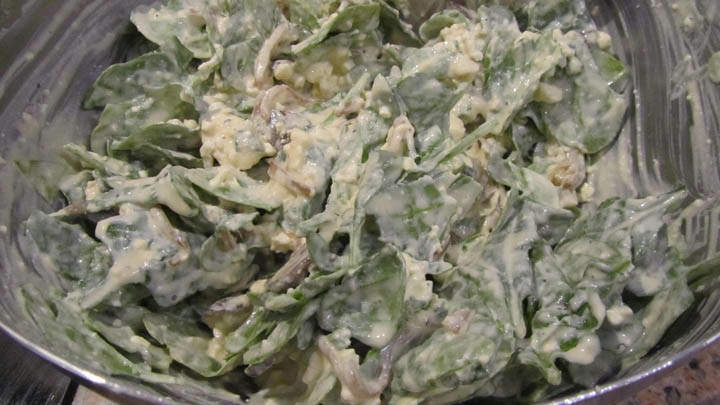 STEP 5) Pour the spinach and feta mixture into the dish and spread it out evenly. 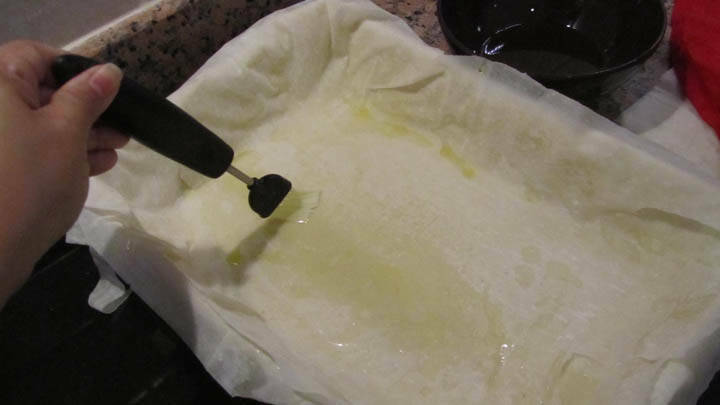 STEP 6) Place a sheet of filo pastry on top of the mixture and brush with olive oil. 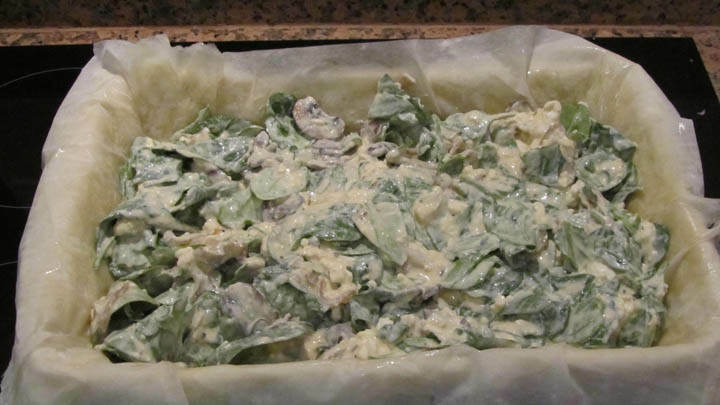 Continue to do so with 5 or 6 layers (making sure you brush with olive oil between each layer). STEP 7) Fold and tuck in the ends of the remaining filo pastry around the edges. 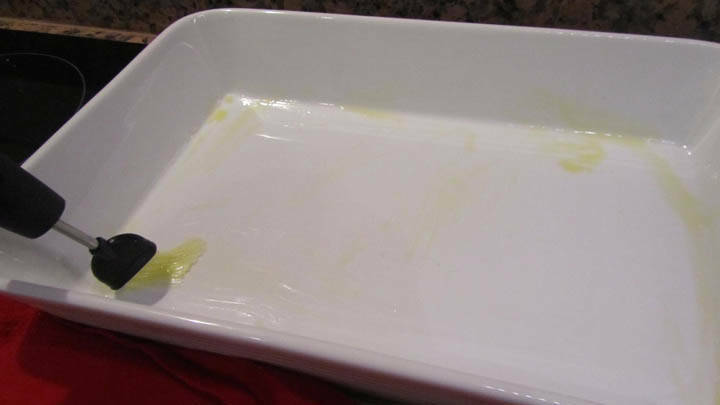 Brush with more olive oil and bake for 50-60 minutes until the top is golden. STEP 8) Let it cool down for 15 minutes and serve warm. Alternatively let it cool down completely and refrigerate.